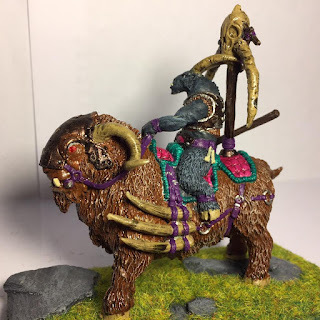 Path of an Outcast: Monster March! - Week 5 - The Final! After 5 weeks of a Monstrous Journey, it is time to finish it and wrap up the event. For me, it was a very unique experience and I will talk about it a bit at the end of this blog post. What I would like to start with is to say THANK YOU! to all the participants who made this whole event possible. I didn't know how many people would have wanted to take part in it but I was extremely happy that there was a very nice interest and that the participants submitted their pictures on a regular basis. That was simply amazing and from my point of view first Monster March was a success. I hope that you as a participant also enjoyed it. Ok, before I continue, let's have a look at the updates I have received in the last week of #MonsterMarch. 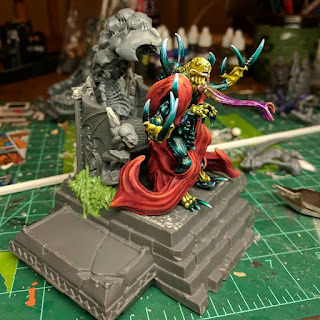 I really like this dynamic model and the base itself turned out to be great too! Well done, Cylde, you can be proud of your achievement! 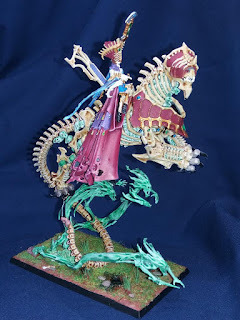 I am sure your brand new Archmage will be a very strong addition to your armies! Ed has finished painting last week and here is the picture I received then. 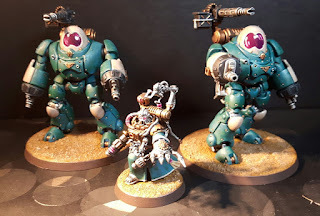 I really like the trio and I am happy that the event helped Ed to paint them! Mark posted a nice article and more pictures on his blog, so make sure to pay him a visit! Michael started strong with his Terrorgheist but unfortunately he had to drop due to the accident. I hope he has recovering well! Mr. 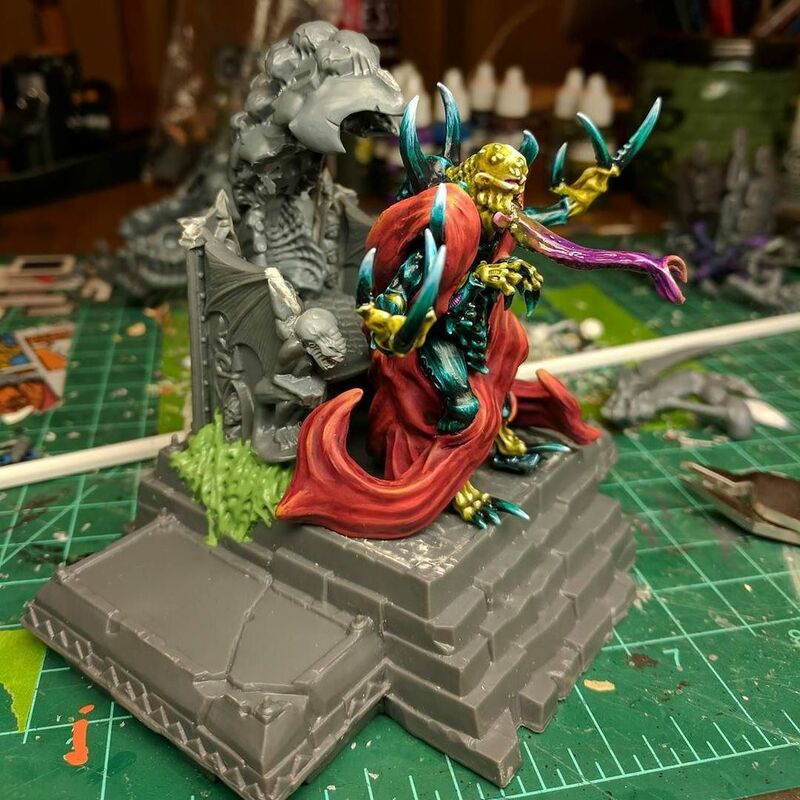 Pink has finished his model last week but he mentioned on his twitter account that the Patriarch got his throne too! Sav has just accomplished his goal too and I have just received some cool pictures. 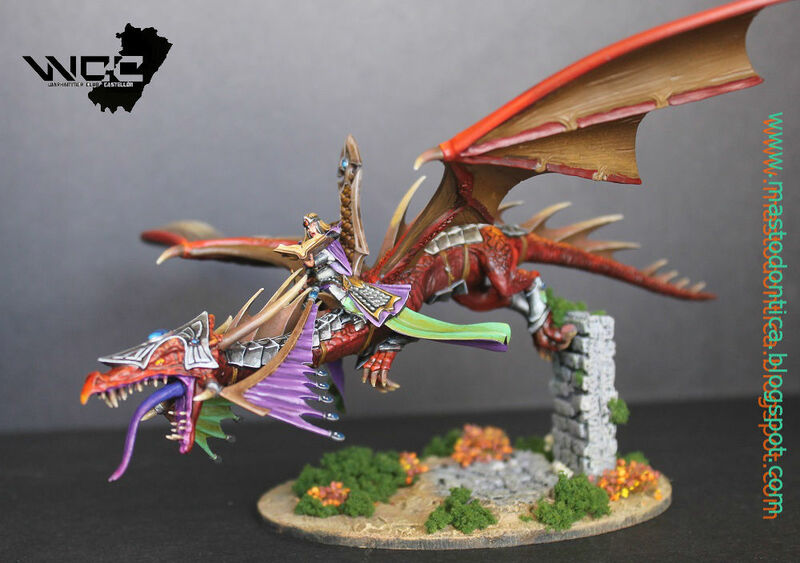 Here is one of them showing the painted model! 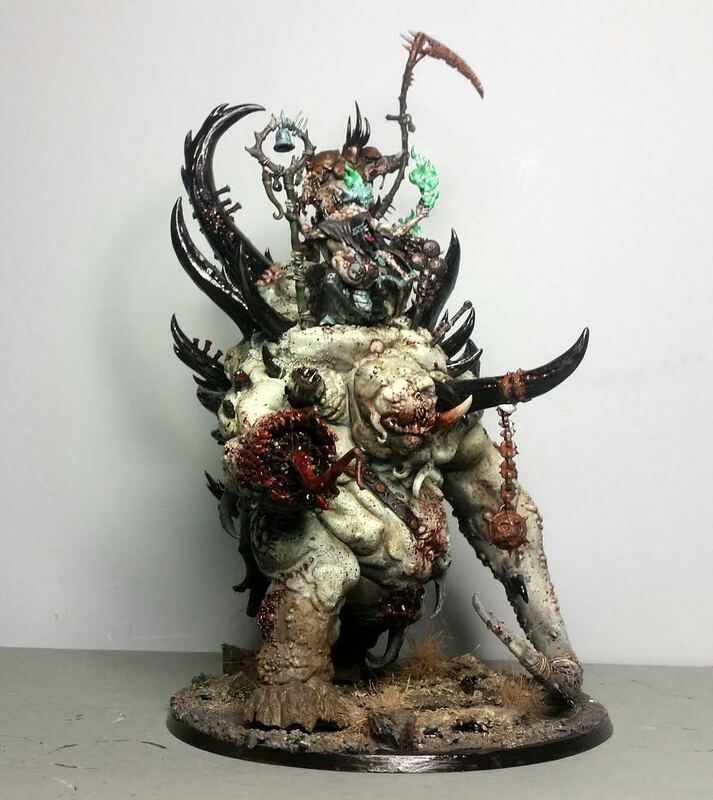 Stats has finished painting Glottkin last week but he did such a splendid job that I just had to post the picture and links again! Once again, I wanted to thank everyone who participated. I am really happy that you answered the call from the hobbyist who have never done something like that before. Without your great contributions it would have never happened. You submitted great and diverse models from a very wide selection of games/producers and worlds. I hope that, like me, you also were happy to admire the work of other participants. Initially, I decided to host the event and not knowing how many people are going to take part, I wanted to focus on the updates. But every time I saw new pictures I was wondering if I should pick up the brush and paint one monster myself? I don't regret I didn't (almost! :)) because I made the updates the priority and managed to provide one each week. This is mainly to say that the works of others are great motivation and I know better now how well it works! What I need to do now is to check for other events in the internet and I may be able to participate myself eventually too! 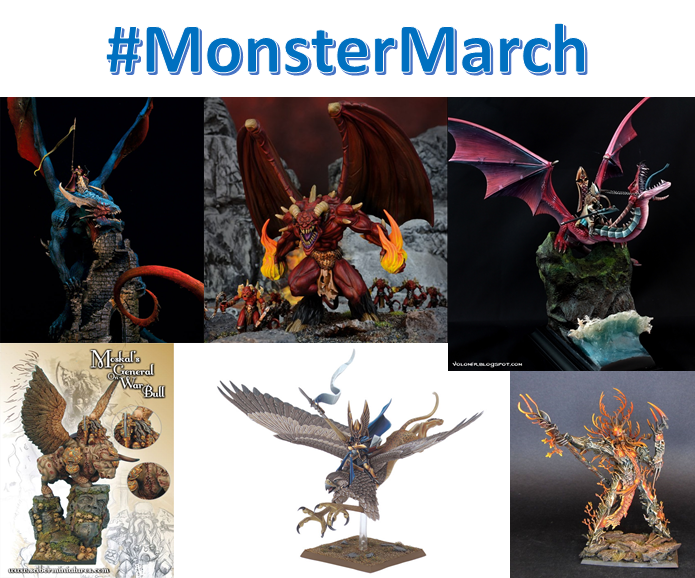 Another thing I liked about the Monster March is that I met (although in virtual world) new hobbyists and I have more blogs to visit on a regular basis! For me it is a great thing and I hope this event also helped to bring people who share the same hobby together. One more comment from me. I also didn't want to email every participant too often about the progress. In fact, at some stage I did my best to reply to your emails but I wanted to give you as much freedom as you need. I definitely wanted to avoid the situation where I am an annoyance with my reminders for the updates. I hope you didn't take is as a lack of interest but I simply wanted to respect you and your free time. I am extremely happy that you liked it, especially that it was my first time and I expected I may do a lot of things wrong. I am sure there is a lot to improve but I think when the participants are happy - that is an important and perfect start already! Keep painting! Monster March may be over but there are other projects to do too! Thanks for inspiring and hosting the challenge. It's a been a treat. Your contribution was awesome and I am sure inspired others too! Thanks a lot again! Thanks to you for your event, and for the weekly update, seeing the monsters together has been the best thing! Awesome work everyone, and a great job hosting Pawel! My Terrorgheist will be finished when the cast comes off, so look forward to Monster May! Thanks a lot, Michael! I agree that everyone did a fantastic job and it was an absolute pleasure to host the event. 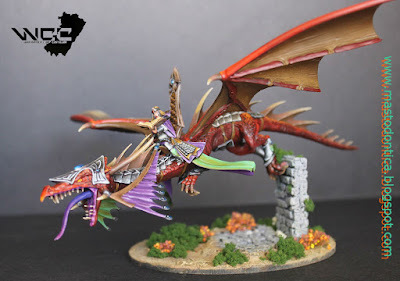 I am already looking forward to more updates on your Terrorgheist in May! Great works everywhere. Thank you for this incredible month of painting and Swordmaster for the organitations, great work to you too. See you next year? By the way, where is the next painting challenge? 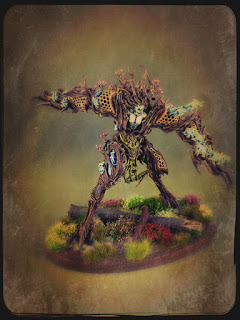 I think there is one called Inner Circle at the moment and it seems to be official GW painting challenge. But other than that I don't have any particular details. I just think that people are interested in such events and it may be a good idea to keep checking various blogs for the announcements. Fantastic work Swordmaster for hosting this and to everyone who participated! Everyone's work looks great. It is fun to see the community come together to do these challenges and see what comes out of them. Thanks a lot, Joe! It was thanks to your support and encouragement that I decided to give it a go and I was very happy that many people responded. I am also glad to see how the beautiful models came into life and well done to everyone who participated! Having said that, I am of course very interested in your feedback. It will be very useful for the next year for sure!